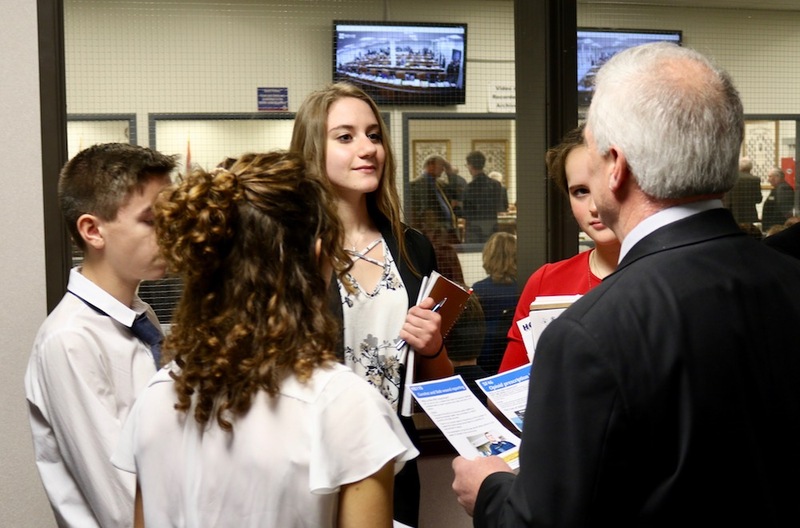 For 25 years, students involved in Cody Youth for Justice have learned they can influence public policy through direct engagement with decision-makers. The group engages in elections — they conducted a forum for school board candidates last fall — and makes an annual trip to the state Legislature. “Every year, the kids pick something that should be put into law or find a bill that interests them,” said Deb White, the recently retired science teacher who advises the group. Before making the trek to the Capitol, the students research their targeted issues, mark out their points of advocacy and create media such as individualized brochures. The extensive work prepares them to lobby legislators in the temporary Capitol in the Jonah Building, White said. This year, the students chose to support House Bill 110 – Gunshot and stab wound reporting, Senate File 46 – Opioid prescription limits and Senate File 43 – Hathaway scholarship eligibility. On Sunday Jan. 27, White and 17 students — 14 from Cody High School and three eighth-graders from Cody Middle School — drove nearly 400 miles to Cheyenne to advocate for the three bills. Support legislative coverage with a tax deductible donation. On Monday, all three measures were awaiting action in the House of Representatives. The students divided into teams with each team assigned to talk to 10 legislators. Those teams then reported back to the group as a whole. The kids asked to drive home Monday night so they would not miss a second day of school, White said. Dan Neal is serving as WyoFile's legislative editor during the 2019 session of the Wyoming Legislature. He has worked for decades as a journalist in the state. 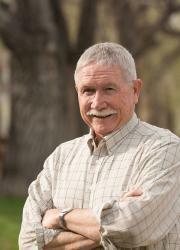 Reach him at 307-258-2783 or dan@wyofile.com. He rarely tweets.